Couples looking to have a little fun with their wedding design often decide to have a theme wedding, which can be anything from an all-white wedding to a Star Wars wedding to a goth wedding. Our couples have had theme weddings such as a circus wedding (everyone came in costumes! ), a New Orleans themed wedding, and a Vegas themed wedding. 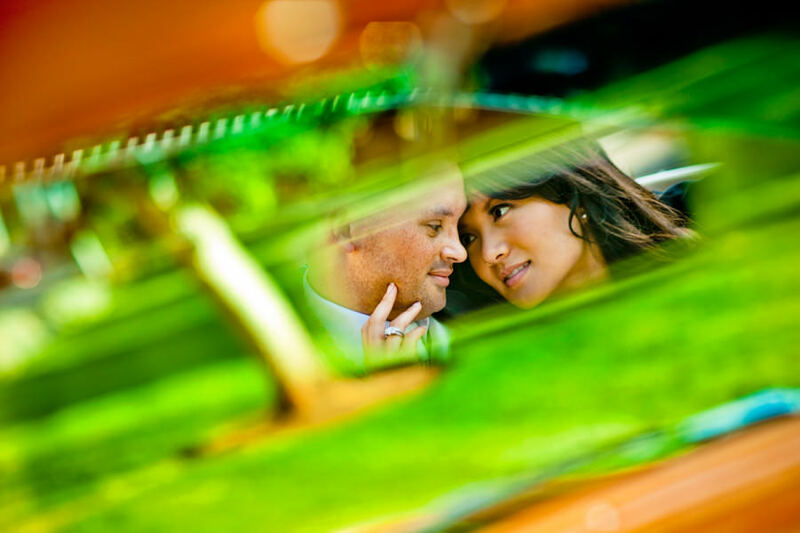 We love seeing the creative ideas our couples come up with! 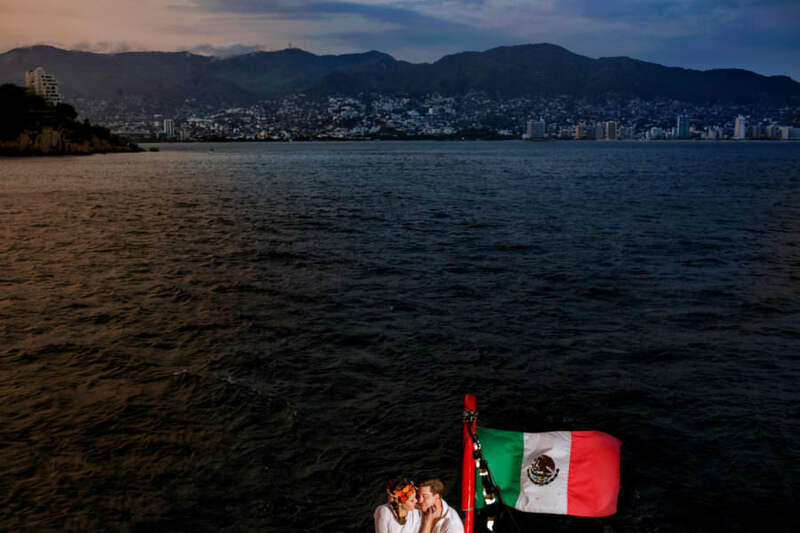 Erandi and Zach’s midcentury-modern wedding in Acapulco. Denise and Alan threw a New Orleans-themed wedding right here in California, with a second-line parade around Ralston Hall. Alena and Geoff met at Burning Man. They love costumes, art and entertainment. 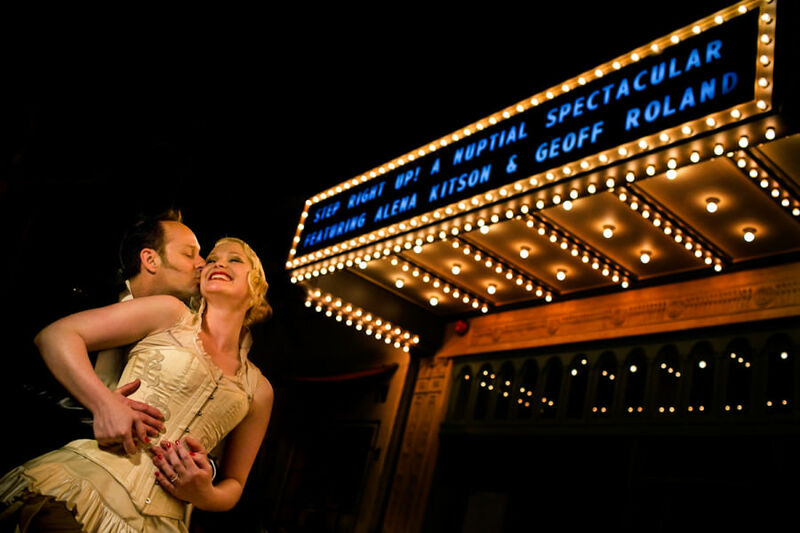 So it was no surprise to their guests when they planned a circus-themed wedding at the Granada Theatre in Santa Barbara. Surprise wedding! 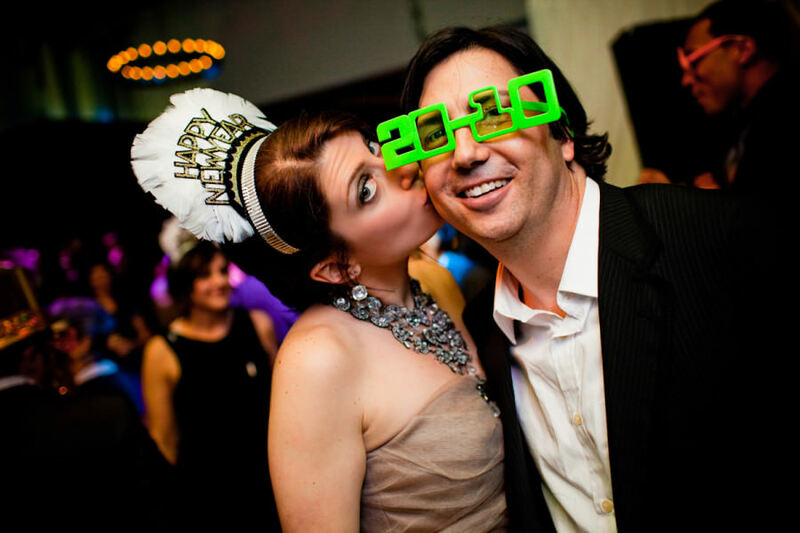 Jessica and Jake threw a New Year’s Eve party, and got married as a surprise to their family and friends.